Intrigue is the word for wondering about things yet untold. It causes us to linger longer than we should, eavesdropping on private conversations at the next table in the food court. Intrigue makes us wonder what would happen if that man and that woman actually linked up and created a stir. The dictionary tells me it's about secrecy and conspiracy. It involves trickery and maneuvering and could even include tickling one's fancy. I heard from a friend that in the 12-step world of the sexaholics, the word "intrigue" has special meaning—defined as lusting, flirting or taking a sexual interest in someone. There is a certain intrigue when the cinema shows previews as well. We wonder about the drama, and fill in the blanks. I may know the general genre of a movie, but the order of things is not so set. I call this intrigue, and the movie producers have me guessing, whether it's Ruth Bader Ginsburg or the latest Toy Story movie. Last weekend my wife and I visited our local cinema and two of the previews included this line, Based on "The Untold Story" That's not news, of course, this photo from Chappaquiddick, the untold true story of Sen. Edward (Ted) Kennedy and his relationship with a woman who died in Massachusetts, and of course, the latest in the Hollywood-exposés of Gary Hart, played by Hugh Jackman, in the new release "The Front Runner." There's something intriguing about finding out the real story. We leave the theatre and admit, "I didn't know that!" But whether it is true or not is irrelevant; it's only based on the truth, and was until now not even told! 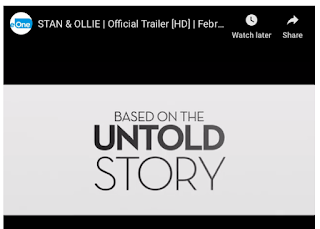 They could have said, "based on the true story" as is done in many movies, like Eastwood's "The Mule" "Vice (Cheney's story) or "The Green Book", but there's something intriguing about things untold, as yet. So we are being brought into a bit of unveiling and that brings commensurate glee. Maybe you like stories as much as I do. And the unveiling of an untold story is massively fun for you, even causing you to guess like it's a whodunit feature. I remember both Chappaquiddick and the Gary Hart affairs, both knocking out potential presidents in their bid for the White House. So I knew the stories. But many around Sydney don't know, and for them the intrigue is greater. There's another story which is told, and retold, but many still have not heard, so for them it's as yet untold. It's the story of our Jewish messiah, born in Israel about 2,000 years ago. Some fancied him a prophet, some a celebrity or carnival show master. 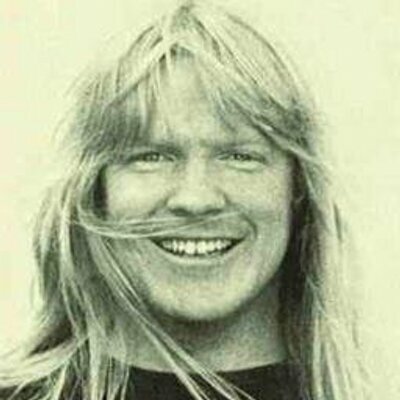 Larry Norman wrote a song about 1971 called "The Outlaw" and maybe some of these 'categories' will be what you would say about this character whose name is Yeshua. Let me ask you, is the story untold? Or is it that you just don't want to hear about Him? The Movie "Stan and Ollie" is also based on formerly untold information.